FRIENDLY STAFF | BEAUTIFUL SMILES | WELCOMING ENVIRONMENT. Welcome! We are a general practice office that caters to most dental needs utilizing state of the art, minimally invasive techniques and materials. We have prepared for you this site as a resource to find valuable information about our practice that serves Philadelphia and its suburbs. Please find answers to your frequently asked questions regarding your treatment on Our Services menu, Educational Videos and Links. 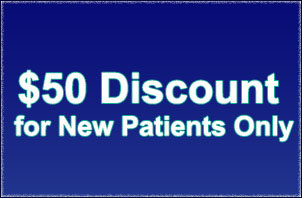 We offer a discount dental program - Smart Dental, which includes two free examinations and cleanings per year, one free set of (4) bitewings per year/or one full series of x-rays if necessary. All other dental treatments will be discounted. There is an annual fee of $250.00 for patients over age 15 and $ 100.00 for each child under age 15. Thank you for visiting our site. We have a wonderful team of professionals that are dedicated to providing the best care for our patients. Our goal is to make every patient at ease and comfortable. We would love to have you as part of our dental family!